Electronic amplifier plug-in version for single solenoid proportional control valves. 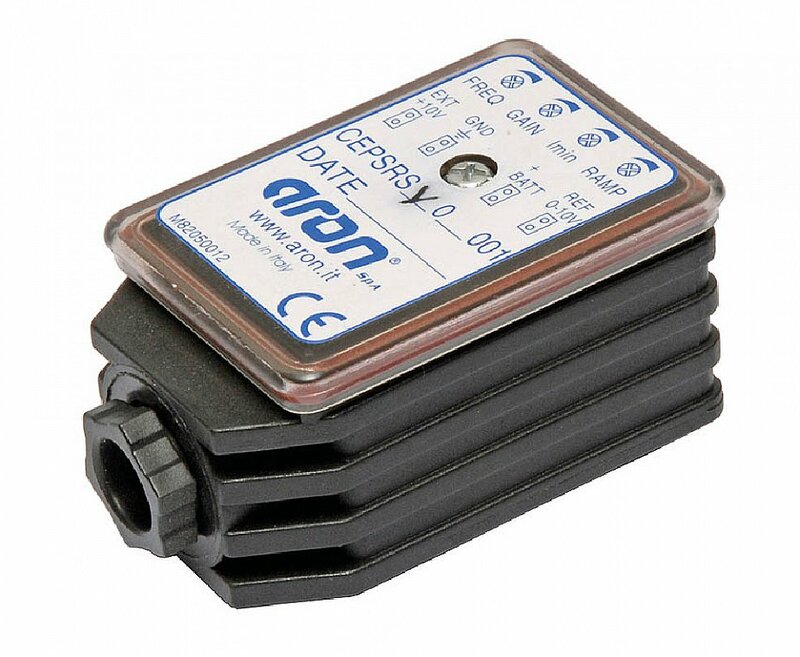 The electronic amplifier Plug version was designed in compliance with EN 175301-803 (ex DIN43650), for direct mounting on the valve solenoid. The CEP.S can used with proportional valves XD. *.A…, XDP. *.A…, XP.3…, XQP. *…, CXQ.3.. .
Gain, minimum current and rise and fall ramp time adjustments are possible through the corresponding potentiometers fitted on top side of the card, and can be accessed by slackening the relative screw and opening the cover of the connector. While the output current to the solenoid can be measured via the Valve Current test points. SERIE 2, has the diode reverse polarity protection inside on the power line.